ReqText version 1.3x for VirtueMart was a succes! But we cannot fall behind and we have now released ReqText version 1.51 for use in VirtueMart version 2.x and VirtueMart version 3.x! ReqText is a VirtueMart plugin to add the functionality of required customer input fields for a product. This is a feature the current version of VirtueMart does not have. You also have the possibilities to add several types of input fields to a product. For example you can add radio buttons, checkboxes, etc. New in this version is the fully rewritten jQuery script to catch the "Add-to-Cart" click for checking required fields, the possibilitiy to set prices for each checkbox/radio button seperatly. Also added is the option to restrict user input when using text fields. But.... more changes are made. At the ReqText Virtuemart plugin page you can read more about the updated features for this nice VirtueMart Plugin. And yes, another small update for the ReqText plugin. An alert user noticed us about the fact it's not possible to enter a Download ID starting from version 1.30. Ofcourse we've fixed this now and it should work fine now. 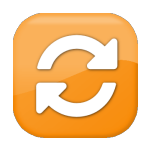 You can update the new ReqText plugin through the backend of your Joomla! website using the update feature and when you have a valid Download ID. You can also download the plugin form the and install it through the Extension Manager. 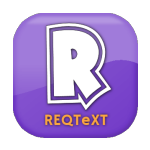 The ReqText plugin has arrived at version 1.31. Shortly after the release of version 1.30 we've discovered another bug which results in the update release of ReqText v1.31. Solved in this version is an error which occurs when a calendar input field is required by a user. When opening the shopping cart a error popup did appear. This is fixed now. Also fixed is the required check for a textarea input field. That didn't always work correctly. This update for the ReqText plugin fixes an annoying bug; not displaying of the input fields of the same kind for one product. When for example a product had multiple dropdown selectionfields set only the first one is displayed correctly. All others aren't shown correctly accept for a title. Version 1.21 fixes this issue and also works correctly for version 2.0.6A of the VirtueMart component. Which is the latest version at the time this article is written. For now we've just arrived at version 1.2 of the ReqText VirtueMart Plugin and this version has some nice extra features added! Next to the usual (bug)fixes we've improved the update function of the plugin. You can now use the default Joomla! update option if you're a subscribed user. Only thing needed is the Download ID (available at our website for subscribed users) which you'll have to add to the plugin parameters. Also added is an extra input field: the datepicker! This way you can let your customers ask for a (required) date to select when ordering a product. Read the renewed manual about the newly added functions and on the webpage ReqText VirtueMart plugin you can get more information about this plugin. We've released the first version of the ReqText VM plugin just a few days ago and here's version 1.1 already! This update contains a few bug fixes and one of them is the handling of multiple required input fields for a product. Everything should work fine now. Also added is the usage of the update stream feature of Joomla! 2.5 so you can easily update the plugin through the update function from Joomla! ReqText is a VirtueMart 2.x plugin to add the functionality of required customer input fields for a product. This is a feature the current version of VirtueMart (version 2.0.24 at this moment) does not have. You also have the possibilities to add several types of input fields to a product. For example you can add radio buttons, checkboxes, etc. On ReqText VirtueMart plugin page you can read the full product overview. After a succesfull development period we've just released a net plugin for VirtueMart 2.x.